After 67 years working with students, one of NACAC’s most experienced members has stepped away from the desk. Lillian Orlich retired last month from her position as a counselor at Osbourn High School in Manassas, Virginia. She spent all but three years of her career serving students in the Manassas area, first as a teacher and then as a counselor. 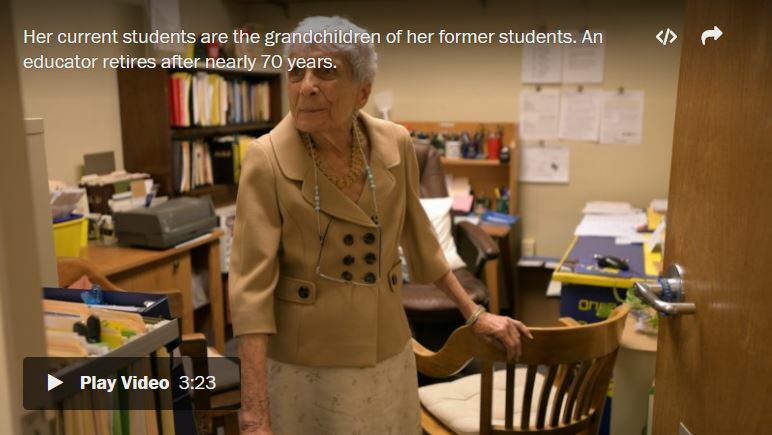 Through the years, 89-year-old Orlich served generations of families, “sometimes helping the grandchildren of students she counseled early in her career,” the Post noted.